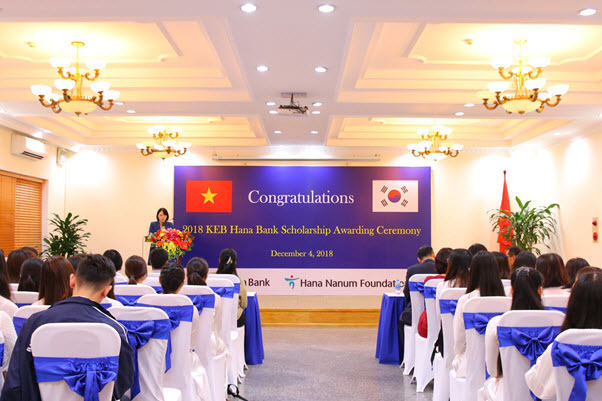 Established in 2005, the KEB HANA Foundation grants about 20 scholarships annually to Korean students. 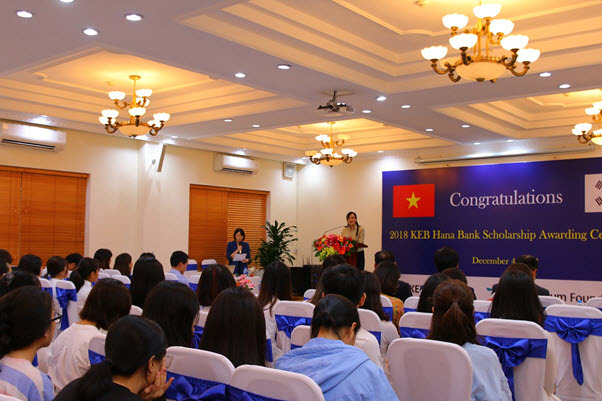 This year, 25 students with excellent academic performance and training were awarded these scholarships. 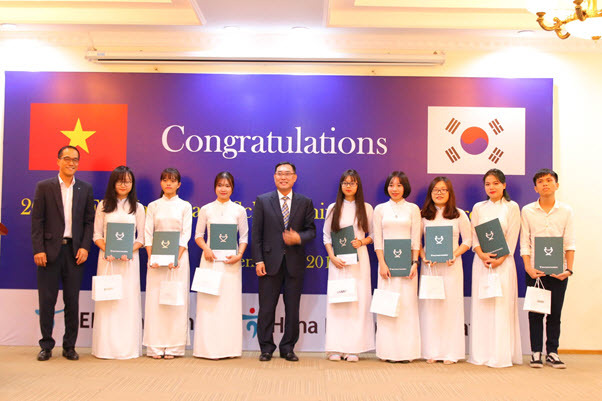 On December 4th, 2018, ULIS-VNU held an awarding ceremony of KEB HANA scholarship in 2018 for students of the Faculty of Korean Language and Culture. Attending the ceremony were Assoc. 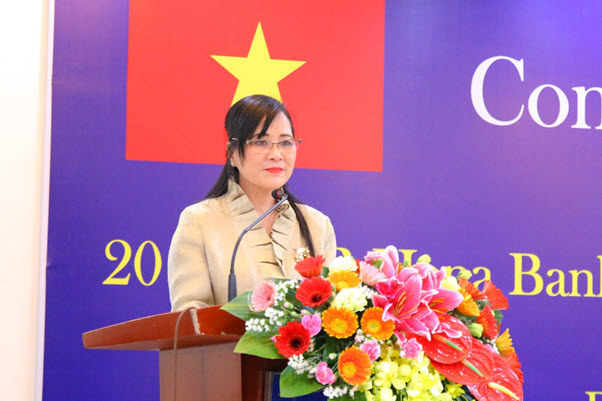 Prof. Dr. Ngo Minh Thuy, Vice President; MSc. 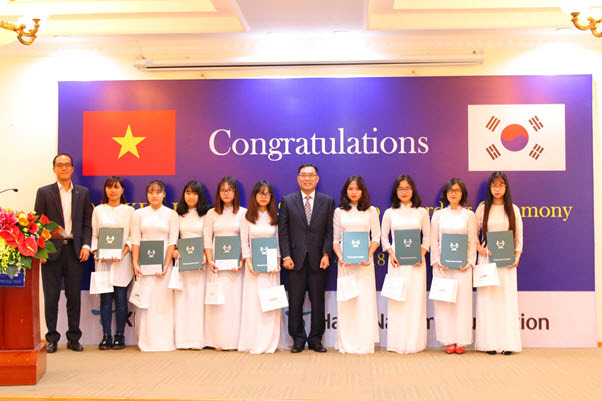 Vu Van Hai, Head of the Politics and Students Affairs Office; Dr. Tran Thi Huong, Dean of the Faculty of Korean Language and Culture. 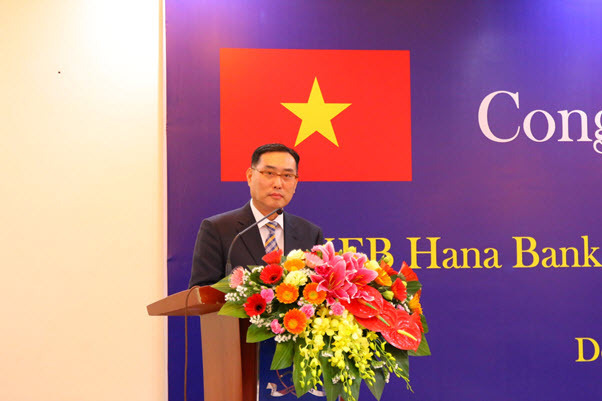 From KEB HANA, Mr. Kim Jeong Han, General Secretary of KEB HANA; Mr. Ham Jin Sik – General Director of KEB Hanoi Branch; Mr. Lee Jae-Ho, Deputy General Director KEB Hanoi Branch took part in the event. 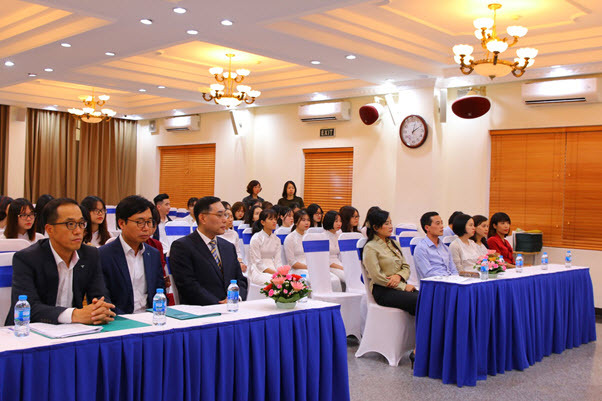 Speaking at the ceremony, the Vice President acknowledged that the scholarship program is an effective and timely support to motivate the students in material and spiritual way so that they can perform better. 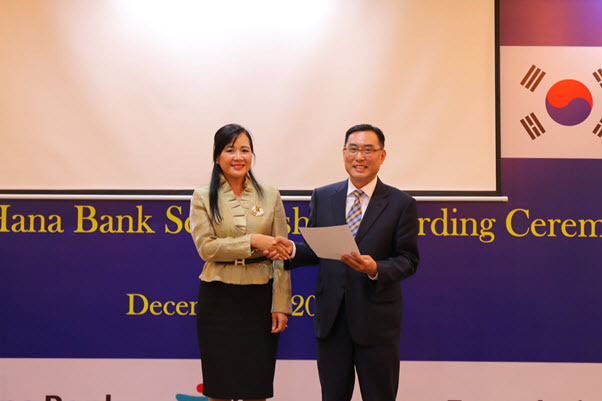 Particularly, this support from KEB HANA has also contributed to enhancing friendly relations between KEB HANA Bank and ULIS in particular as well as between Vietnam and Korea in general. 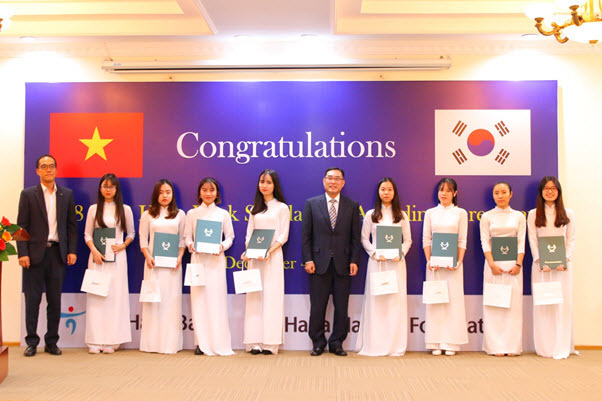 Kim Jeong Han hoped that these scholarships would create good conditions for the students to excel in future. 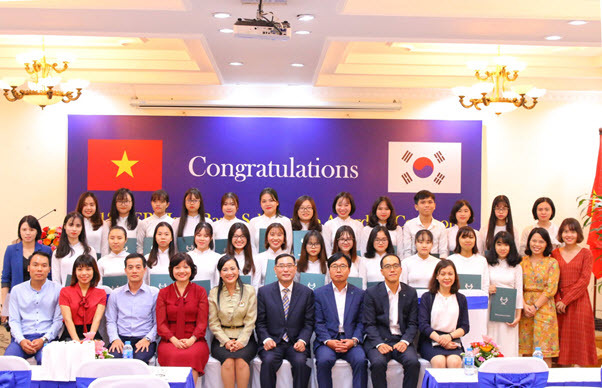 They would be a great foundation for the development of Vietnam and contribute to the development of the Vietnam-Korea relationship.